25 firms in Canada, the U.S. and overseas have notified us that they received an email from the purported Alice Swang looking to retain them with regards to a collecting overdue payments resulting from a separation agreement. 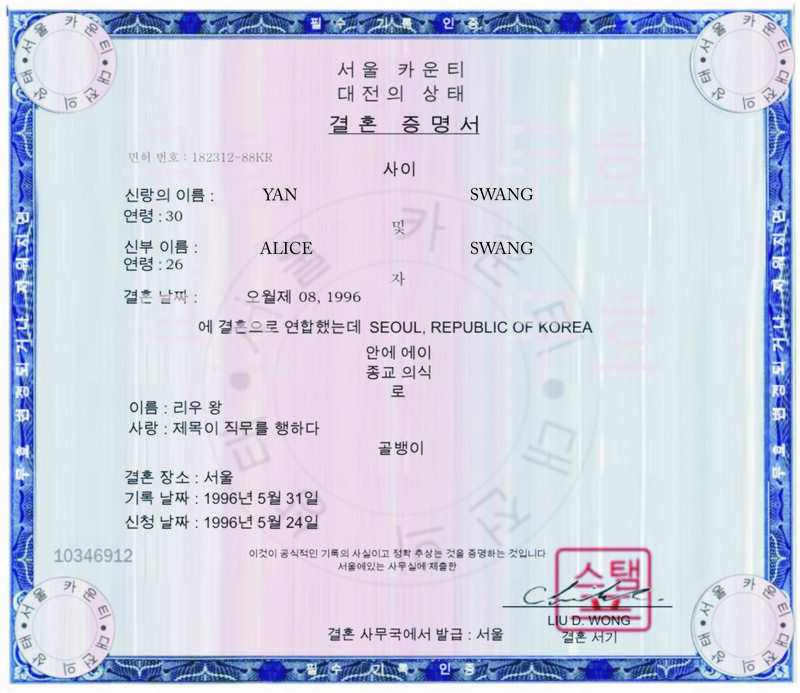 My name is Alice Swang , I am contacting your firm in regards to a separation Agreement with my ex husband (Yan Swang) who resides in your jurisdiction.I am currently in Seoul. We had Divorce settlement agreement for him to pay the Agreement he own me ,hope to hear from you as soon as possible Awaiting Thanks. 126 Palpan-dong, Jongno-gu, Seoul 110-220, South Korea. 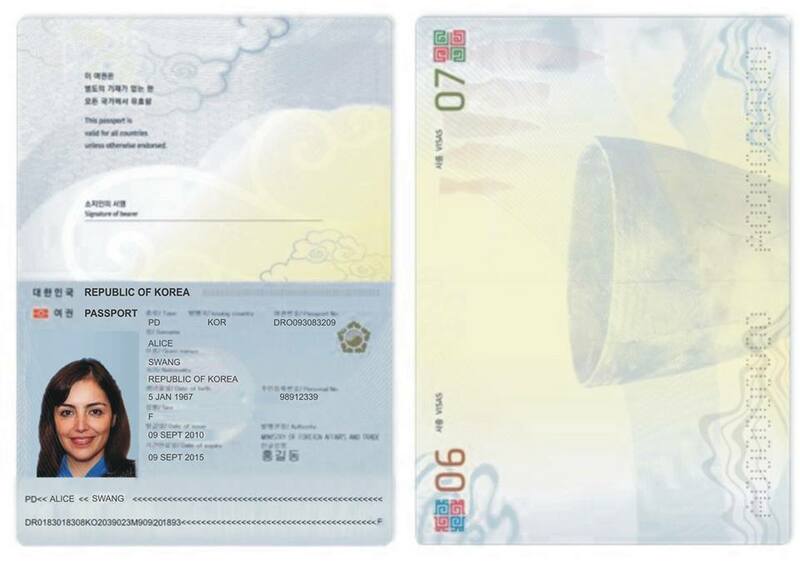 My name is maria barry , I am contacting your firm in regards to aseparation Agreement with my ex husband (Yan Swang) who resides in yourjurisdiction.I am currently in Seoul.We had Divorce settlement agreement for him to pay the Agreement he own me which he default .Please if this is not your area of practice, refer me to a good attorney.hope to hear from you as soon as possible awaiting your responds Thanks . Dear Counsel ,Thank you very much for your concern and supports , If you received the Separation Agreement attach please revert back to me as soon as possible i will be happy to have your agreement sheet so i can endorsed my signature on it , because i want my funds back awaiting your responds thank you .Warmest Regards ,Alice . I just wanted to post that I just got an email from this scam artist. Thanks for posting stuff like this on your site. The same scam is sought to be propagated into English law firms. Thank you – This web-site is very helpful. Thank you for this website, fraudsters also spam Russian law firms. We also received one in Mexico. Thank you for the information. In the Netherlands I also received a message from this Alice Swang. today we also received one in Mongolia from Alice Swan. Previously we have received same email from Patricia Miller. Thank you for good information. This email has been received in Australian law firms also. Thank you for reporting on it. I received this email and documents in Santo Domingo, Dominican Republic from Alice Swan. We have received this email in Taipei, Taiwan. I just got this email requesting legal help in Rome, Italy. Thank you for your support and initiative. I received the same email requesting legal assistance for the same subject matter in San Juan, Puerto Rico. We got this same e-mail today (in South Carolina) from “Alice Swang Young” in Seoul, South Korea. Now going under the alias Alice Wang and ex husband now Yan Wang. Scam email is also requesting a referral if this is not your expertise. My name is Alice wang I am contacting your firm in regards to a separation Agreement with my ex husband (Yan wang) who resides in your jurisdiction. I am currently in Seoul. We had Divorce settlement agreement for him to pay the Agreement he owe me which he default. Please if this is not your area of practice, refer me to a good attorney. Received the same email in Colorado with attachments. kindly advice for more details on the case. Hope to hear from you as soon as possible awaiting your responds. You have it all wrong. Don’t just ignore these. Have fun with them. Drag out the process for as long as possible. Use up as much of their time as you can. For instance, tell them that you need proof that they are a real person and so you need to see a picture of them holding a newspaper. After that, tell them that you need a picture of them holding that newspaper while wearing a hat. And then no shirt and on and on. The only limit here is your imagination. Received this scam in a french canadian law firm ! Suspected the scam. Awaiting her call and his contact information. This website is great confirmed my suspicions. Thanks a nil!! I am in Trinidad and Tobago and have been approached with this scam. The wording in the email is very similar and she goes by the name Alice Wang. She also phoned me directly. Fortunately, I carried out due diligence checks including scanning the internet for any evidence of fraud before entertaining. Your information has been very useful. In the Dominican Republic, Santo Domingo, we were targeted by the perpetrators. Fortunately through an online search we found this page. The name follows by “Alice Wang” and her husband “Yan Wang”. We received a scan version of her passport, separation agreement, and decree of divorce.